Never seen the lobby of the State House more crowded for a bill-signing in my seven years in office! 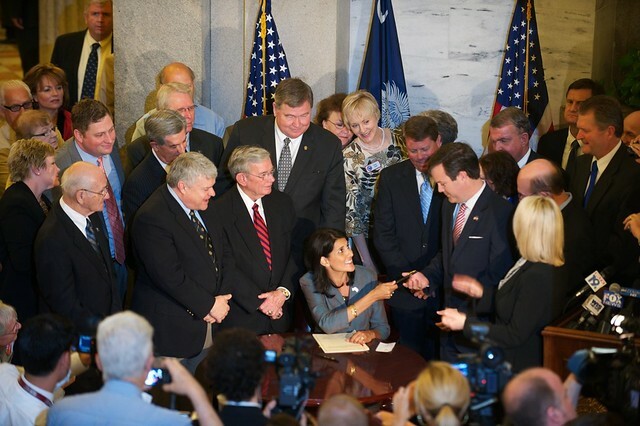 Because the people of South Carolina spoke up and supported their right to know our votes, a three-year push finally became law! While then-Representative Haley, I and a handful of others worked inside the chambers, y’all worked outside and contacted your officials. Today was truly about People, Not Politics!